In today’s fast paced world very few people have the time and patience to hit the high street to buy items. Most of us just prefer to shop online. A lot of startups and even major corporations do almost their entire business online. Ecommerce is a flexible solution for businesses, as well as buyers. If you are still not present online, it is high time you took a decisive step forward. Here we bring you 5 big reasons why launching an ecommerce store has become indispensable for your business. Your online store is open round the clock, through the year. While you get to sell your product 24X7, your customers too can shop at their convenience. Due to their busy schedule, most of your potential customers just do not have the time to physically visit a shop. By starting an online store, you would make your products accessible to a lot of customers who would otherwise have gone elsewhere to shop. The internet can be accessed from around the world. While your physical store can cater only to the people who live in its immediate vicinity, your online store is within reach for a lot of your customers who might be sitting in another corner of the world. If you want to grow your online business worldwide, it is a great idea to localize your website in different languages. 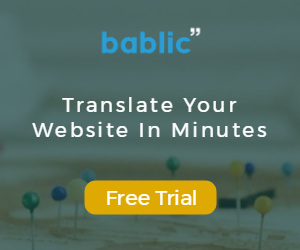 It allows the search engines to pick your content in local searches, thereby giving you direct access to your target audience in a remote or offshore location. An online business lets you build and project your brand in a manner that a traditional brick and mortar brand cannot. Tools like online customer services, blogs and social media allow you to give a character and personality to your business. It allows you to share your vision and the ideas that went behind building your business. Your online store is the best marketing tool that you would ever have. Most small businessmen cannot afford the services of a traditional marketing agency, however, thanks to the internet, now anyone can market through online tools on the social media. Tools like email marketing, pay per click advertising and social media marketing help you build very useful links and contacts. When it comes to scalability, ecommerce is much more agile than a typical brick and mortar store. Whether it is adding new product range to your store, creating new partnerships or giving more payment options to your customers, you can do it all from the convenience of your office. While in the conventional business you may have to rent a store in an up market location to attract high-end clientele, in ecommerce you simply have to make your online store more visible to your target audience by altering keywords and some internet marketing. If you are want a flexible, agile and highly scalable platform for your business, you cannot afford to ignore ecommerce. Only this business model gives you the leeway to take your product and services to your clientele in a seamless way. You can also target global audiences at the drop of a hat; all it takes is a few technical changes to your ecommerce platform.